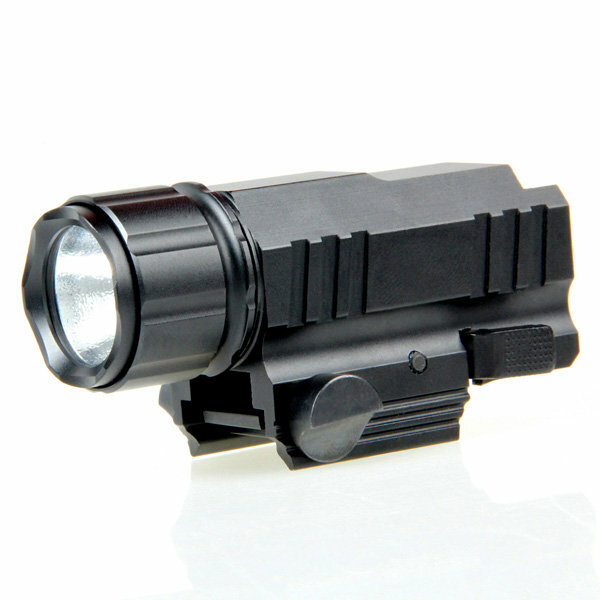 Made of aviation aluminum alloy, lightweight and durable. Use high quality sealed silicone, good waterproof. Strong light and quick flicker 2 modes, adoptable for lighting and defensing. All guns with 20mm rail, also small enough for dailylife, camping and out door sports. Unscrew from the lamp holder,put in the battery, then turn on the switch(right to left toggle) ,the second time to turn on is quick flicker mode. Fix it on the 20mm rail, or use it directly.